PAGASA in coordination with the Department of Science and Technology spearheads the National Time Consciousness Week, with the theme “Juan Time: Pinoy Ako, On-Time Ako!” this January 1 – 7, 2014 as each of us to synchronize their timepieces with the newly coined Philippine Standard Time (PhST). Actually, the Republic Act No. 10535 makes sure that all key public places will be funded for installation, operation and maintenance of synchronized time devices. Besides government implementation, private entities like telecoms, such as the Globe Telecoms and Smart Communications also expressed support on the campaign. Year 2014 will surely be starting with a lot of timepieces, not to mention the continued flow of new wearable tech devices in form of wrist bands, combining phone functions, notifications, fitness applications, music player, or even TV with the basic, all time necessity, which is your watch. 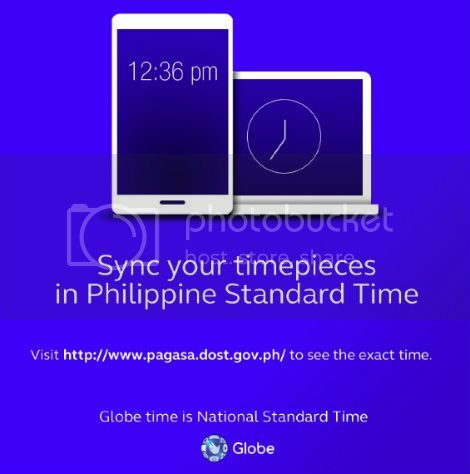 So be sure to stay synchronized, and just visit PAGASA‘s website to sync with Philippine Standard Time. Astrid Closes by August 5 after Being Bought by Yahoo!